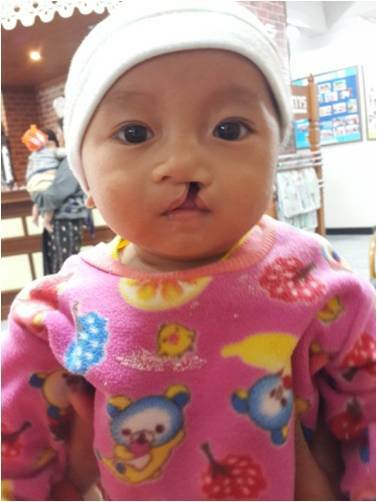 Aae Noi was born with a cleft lip and cleft palate in May 2015. He is the only child of Mr. Kuae, 21, and Mrs. Bin Kwae, 19. The family is from the Kha Mu tribe in Bokeo Province, Laos where Aae Noi’s father works as a labourer. They travel 15 kilometres to access cleft care from our partners at Bokeo Hospital. In October, Aae Noi was scheduled to have his cleft lip repaired. Unfortunately, he came down with a cough and the surgery had to be rescheduled, but as of December, he was able to have his lip repaired. When Aae Noi reaches 1.5 years old at the end of this year, he will be able to have his palate repair surgery as well.